When it comes to weight loss, many of us are too focused on our workout routine and our diet. While both our diet and our exercise routine is going to impact our weight loss, we shouldn’t be neglecting our metabolism. Metabolism should be our focus as far as weight loss is concerned because of one major reason, it controls our ability to process all of the material that we are consuming. When our metabolism is on the slower end, our body isn’t as efficient in processing these materials as it should be. This in turn leads to the accumulation of extra fat tissue, which of course is going to negatively impact our ability to lose weight. Luckily there are many different ways in which we can influence our metabolism, which we can use to our fat burning advantage. Here are some of the most effective and easiest ways in which you can use your metabolism, and improve your fat burning potential. Breakfast is the meal which most people tend to skip out on, which is largely due to time constraints. Most of us are spending our mornings trying to get ready for a day at work, and typically breakfast falls on the back burner. While it may not be convenient to sit down and have a full breakfast every morning, more and more evidence is showing that eating a balanced breakfast can help to improve your metabolism. Not only will it help to improve your metabolism, but eating a breakfast will help prevent you from eating snacks throughout the day due to hunger. When it comes to breakfast, the meal should largely revolve around protein rich foods, with some healthy fats and fiber thrown into the mix. This means you should be looking to eat foods such as eggs with whole wheat toast instead of opting for the waffles or pancakes. The idea of strength training to those who are either new to the gym or those of us who are getting up there in age can be intimidating. The benefit of strength training over traditional cardiovascular training is that you benefit from more skeletal muscle gains over a short period of time. The reason why strength training can help improve your metabolism is because doing so your body will put on more muscle mass. Muscle tissue itself is extremely demanding as far as resources are concerned, and burn a decent amount of calories while even being at rest. This means that more muscle mass we put on, the more energy we need to run it, and the more calories we will burn in doing so. So in essence, strength training is not going to just help you lose weight in just the calories you burn through exercise alone, but will also help you lose additional weight thanks to the extra muscle mass in gaining as well. Another metabolism boosting trick to is to eat more spicy foods, as if they have been shown to increase our metabolism. This has to do with an ingredient which is found within many spicy foods called capsaicin. This compound is not just able to improve our metabolism, but has also shown to reduce our hunger cravings as well. This means that by eating spicier foods you are getting two major benefits to weight loss in an increased metabolism and a reduced hunger craving, with little to no effort to on your part. Drinking more water has always been one of the most popular weight loss tricks, as the act of consuming it is calorie negative. What we mean by this is that’s your body ends up consuming more calories in processing the water than it gains, meaning you lose calories in the process. Besides that water is important to weight loss because water itself is required in many different types of biological processes. Our bodies are made up of at least 60% water, so naturally it is important to many areas of our health including the maintenance of our metabolism. Studies have shown that adding as little as one extra bottle of water a day to your diet can approve your metabolism by over 30% according to a study by The Journal of Clinical Endocrinology and Metabolism which was conducted in 2003. The suggestion to eat food that is high in fat in order to lose weight may seem counterintuitive to many people. The reason why eating certain types of fat, such as omega three fatty acids can improve our weight loss ability, is because of their impact on our blood sugar levels. Eating foods such as salmon, mackerel, sardines, walnuts, pumpkin seeds, chia seeds and other similar foods can significantly increase your daily intake of these healthy monounsaturated and polyunsaturated fats. Having your blood sugar levels under control means that your metabolism is going to go up, as your body is going to be able to more efficiently process these materials. You’ll see other positive effects to your health as well such as lower blood pressure, lower cholesterol, lower triglycerides, and an overall healthier cardiovascular system. 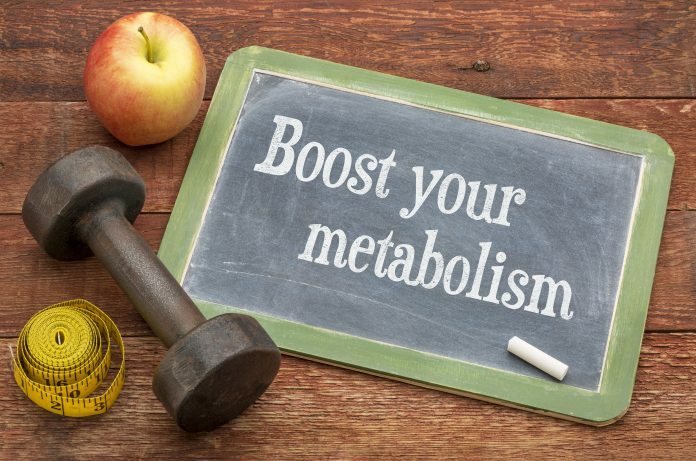 If you haven’t already noticed, a huge underlying theme to being able to improve your metabolism is your ability to best control your blood sugar levels. 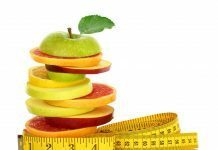 This aspect of your health is greatly impacted by the types of sugars and carbohydrates you eat, and your metabolism can be improved by making small modifications to your diet. This means that you need to be choosing products such as whole wheat pasta, whole wheat breads, potatoes, sweet potatoes, brown rice and other similar options. Basically you’re looking for foods in as natural as a form as you possibly can, as these types of foods tend to be high in both fiber and calories. Fiber is going to make all the difference here, as the more fiber the food has the longer it takes for the body to process. Extending the period of digestion means that these foods are going to be more evenly digested over a longer period of time, which helps us to better regulate our blood sugar levels. Carbohydrates which are considered “bad” are not only going to contribute to your weight gain, but are going to negatively impact your health as far as your cholesterol, triglycerides, and cardiovascular health and general is concerned.